Marbles are simply little spherical balls used by children and adults to play a range of games. 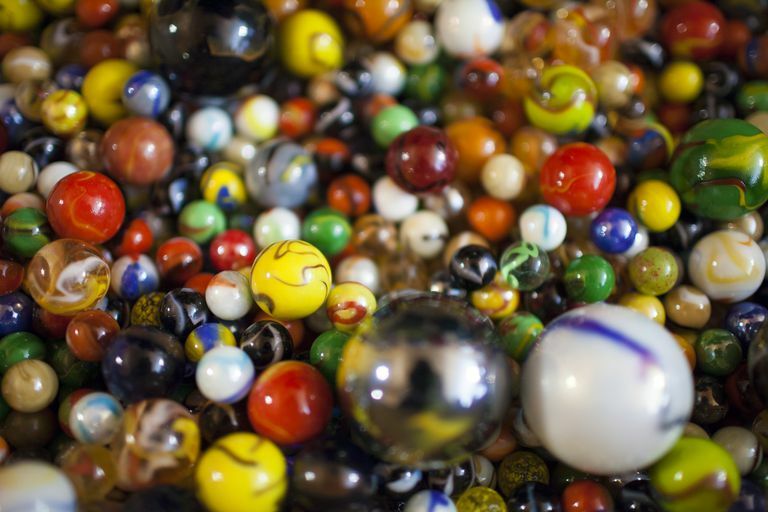 No one knows exactly when the first marbles were invented, but they date back to the times of the ancient Egyptians, Greeks, and Romans who played with marbles made of stone, clay, or polished nuts. Affordable glass marbles were first made in the 19th century when a special pair of scissors that could cut molten glass was invented by a German Glassblower. Marbles have always been popular. In fact, according to the National Toy Hall of Fame, even Shakespeare mentioned marbles in his play the "Twelfth Night." Marbles also have an entire slang language built around them. Aggies, for example, are marbles made of agate while some alleys are made of alabaster. Over the years, increasingly intricate and beautiful marbles have become available; as a result, collectors have become interested in finding rare or interesting examples. Although marbles can be affordable for all collector budgets, avid collectors know that prices can range into the thousands of dollars. Note that unscrupulous dealers have been known to reproduce marbles and sell them as old or antique. Judith Miller in ​Buy, Keep or Sell? 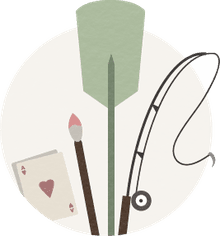 suggests looking for solitaire boards, avoiding marbles such as Cat's Eyes that were mass-produced after the 1960s, and look for the original packaging. This "blizzard" onionskin type with suspended bits of mica was the top-selling marble in the Morphy Auction, March 2009 sale. This rare 4-panel onionskin type with suspended bits of mica was a top-selling marble in the Morphy Auction, March 2009 sale. White solid core with dark maroon bands. Original surface. Lot of 25, possibly made by Akro Agate Company. Pre-auction Estimate: $2,000. - 3,000. Includes two Solitaire boards and one standard marble game. One of the Solitaire marble boards comes with common, solid opaque marbles and other comes in original box with no marbles. Pre-auction Estimate: $50. - 150. Lot includes approximately 56 marbles. Pre-auction Estimate: $200. - 300. Condition was king across the board in Morphy's $2.6 million Spring Toy Auction. Along with superb American toys and folk art, the top selling toy was a spectacular circa-1885 William Demuth & Co. smoking Punch cigar advertising figure. Deep cobalt blue with strong outer bands of yellow, blue, white, purple, green and orange. Marbles are part of a wide variety (865 Lots) of toys, trains, die-cast vehicles and figures that was auctioned Live on eBay October 26, 2003. This is from a sampling of items that were auctioned by Apple Tree Auction Center. Prices shown are the completed auctions, along with the price estimates from the auction house.